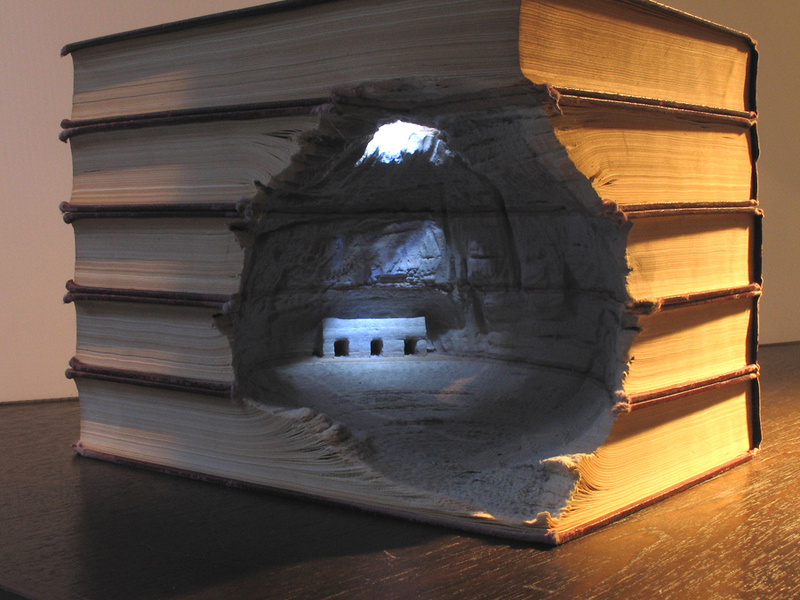 Guy Laramee has produced these spectacular sculptures carved from old tomes, excavating covers and pages to build intricate panoramas of natural landscapes and ancient structures. A wonderful paradox of taking away to create, they look as if they have been unearthed, rather than meticulously composed. Mountain valleys and steppes, an idealised japanese garden complete with tiny raked contours, temples set in gaping caverns. Stunning scenes that blur the borders of perception, liable to make you forget their source material – images that linger in the mind, formed not by words in ink, but by hewn layers of the very matter they are printed on.